John Quincy Stewart (September 10, 1894 – March 19, 1972) was an American astrophysicist who obtained his Ph.D. in physics from, and taught astrophysics at Princeton University, until retiring in 1963. He was also critical of Immanuel Velikovsky‘s theories in an article in the June 1951 issue of Harper’s Magazine. 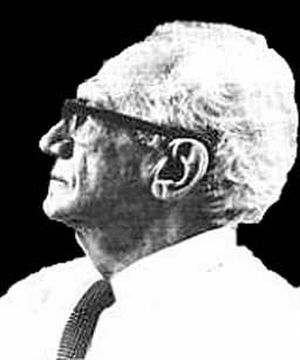 “.. Velikovsky continued to spend a great deal of time defending his published theories. On May 27, 1951, he spoke at the Young Israel Institute and, on November 3, the Jewish Club, Inc. But more importantly, he tried to address “all” of the criticisms leveled against his work in a paper debate with Princeton astronomer, John Q. Stewart, who had co-authored a textbook with H. N. Russell(22)Ref 22 One of Velikovsky’s critics, in World Affairs Interpreter 21:1 (Spring 1950), 108-10. and R. S. Dugan. 2. ↑ Ref 22 One of Velikovsky’s critics, in World Affairs Interpreter 21:1 (Spring 1950), 108-10. 3. ↑ Ref 23 I. Velikovsky, “Answer to My Critics,” Harper’s 202 (June, 1951), pp. 63-66. Repr. in Pensee 3:3 (1973).